You asked for it. Here it is. Purchase Olentangy River Brewing merchandise here. This perfectly soft, comfortable T-Shirt features tri-blend cotton. Featuring the Olentangy River Brewing logo, you can help spread the love of our new craft brewery wherever you go! Everyone needs a go-to hat. This will be it. Featuring the Olentangy River Brewing arrowhead, this hat is adjustable and fits nearly everyone. Looks great with any shirt, and really good with our T-Shirt! You're going to want to get this growler. Made of 100% stainless steel, it will keep our beer fresh and delicious, without losing any goodness on your way home or to the tailgate. You can't fake it. If you are the genuine, real deal, people know it. Olentangy River Brewing Company is the real deal. With an eye on the unique craft of brewing world-class beer, the brew masters at ORBC know how to make it better than good - they want to make your favorite beer. But don't take our word for it. Keep on the look out for Olentangy River Brewing Company beer on tap at your favorite restaurant and in your local retail store. Have an idea of a great spot that should be selling our beer? Email ryan@olentangybrew.com. Join us every Tuesday night at 7:00 pm for the ORBC Run Club. We will meet at the brewery and then run a few miles together to Highbanks Metropark and back. Then we will enjoy a few beers together to celebrate the run! To learn more and sign up click here. LEWIS CENTER, OHIO – November 15, 2018 – Olentangy River Brewing Company (ORBC), the first craft brewery in Lewis Center, Ohio, will be opening its doors to the public on Saturday, November 17. Established in 2017, ORBC has repurposed a 1980’s warehouse and office building into their beautiful new Brewhouse and Taproom. Located near the intersection of Route 23 (High Street) and Powell Road/Polaris Blvd, the brewery is situated just to the east of the Nationwide Hotel and Conference Center. 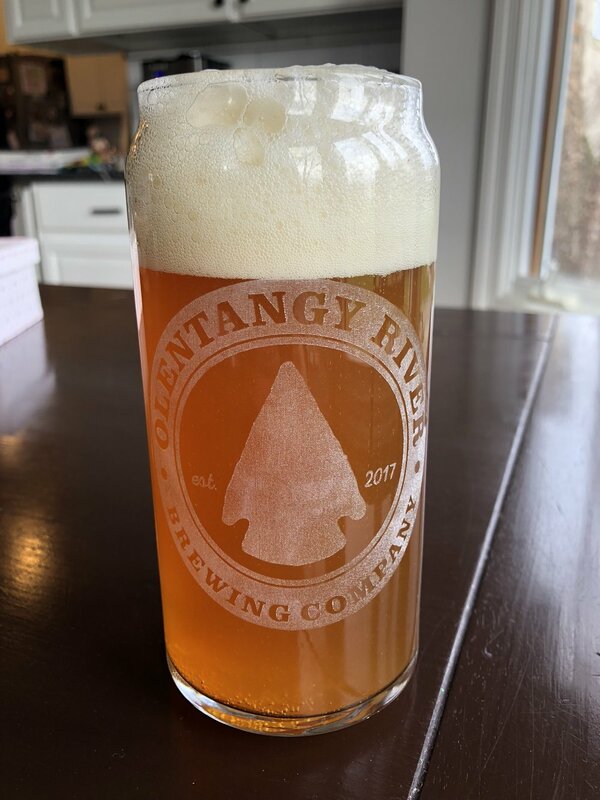 Olentangy River Brewing Company partners with The Roosevelt Coffeehouse at their new craft brewery to open at 303 Green Meadows Dr. S., just off the corner of High St. and Powell Rd. 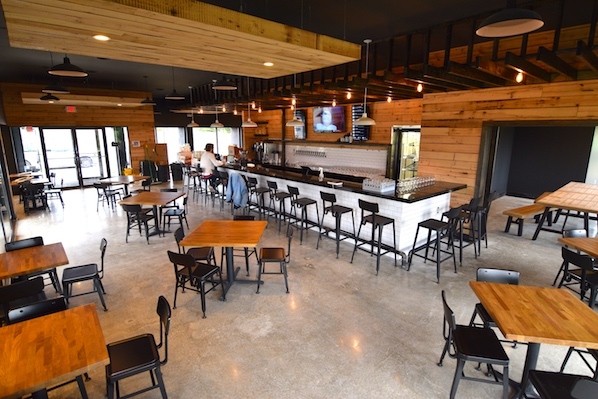 LEWIS CENTER, OHIO – July 25, 2018 – Olentangy River Brewing Company has inked a deal with The Roosevelt Coffeehouse to partner for a coffee experience inside their upcoming taproom at 303 Green Meadows Dr. S. in Lewis Center, Ohio. The space will be co-branded, and include the same community focused experience coffee-lovers in Columbus have come to expect at The Roosevelt Coffeehouse location Downtown on Long St. Hand crafted coffee drinks will be made available in the taproom every day of the week starting at 7:00 am, giving Lewis Center area residents a community focused gathering place for great coffee, alongside their locally crafted beer. The Roosevelt Coffeehouse has built a loyal customer base in Columbus since opening in 2015. Their emphasis of supporting charitable causes, while being a 501(c)3 charity themselves, makes their mission a unique one. And people have responded in a big way. At any given time of day, the coffeehouse is packed, with people connecting over a great coffee drink. This partnership will be the first collaboration of its kind for the folks with The Roosevelt Coffeehouse, and will also be one of the very first coffee experiences in town featuring coffee from Roosevelt Coffee Roasters, the new roastery located in Franklinton. The Roosevelt Coffeehouse and Roosevelt Coffee Roasters Founder Kenny Sipes is excited. Click here to see our food truck schedule!